In response to a user's question, audio gear manufacturer Shure claims that a bug introduced with the iPhone 8, iPhone 8 Plus, and iPhone X will be rectified with iOS 11.3 —and also has said that it is "due out next week." Twitter user ISO50 Tweeted at Shure, saying that a MV88 digital stereo condenser microphone "randomly stops working after 30 seconds." 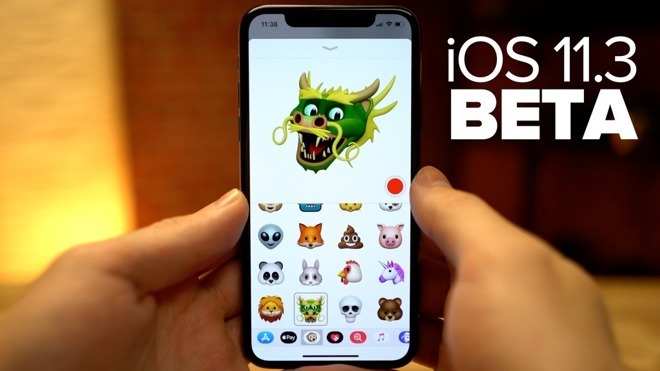 A brief back-and-forth on the service resulted in the vendor declaring that iOS 11.3 fixes the problem, suggesting that the user sign up and download the public beta. It is improbable that Apple will release the full version of iOS 11.3 before the end of February, given that Apple says that it will be ready "in the spring." Apple's latest version of the mobile operating system commenced testing on January 24, and has had only three releases in total. If the full release of iOS 11.3 happens before the end of February, it will be Apple's quickest cycle between original beta deployment to public-facing full release. Apple's beta programs generally go more than six builds, over six to eight weeks, with a period of rapid-fire updates just before the full release.